The Gatlin Brothers. "All The Gold In California". New Live Music Video. - Newhillbilly website. 100% American Roots Music. The Gatlin Brothers. "All The Gold In California". New Live Music Video. 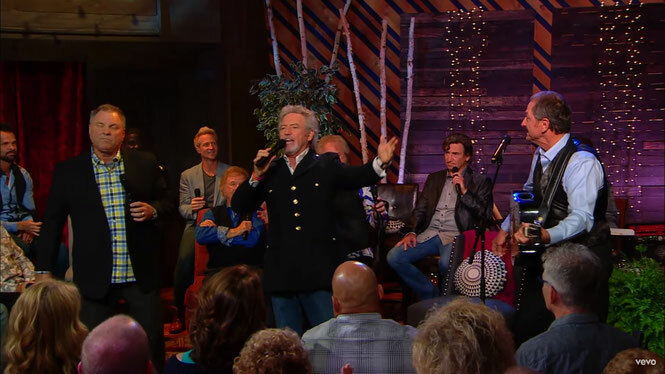 The Gatlin Brothers performs their #1 song “All The Gold In California” on Gaither. This song was written while Larry was in a traffic jam in Los Angeles; the song goes on to warn the listener that all the gold in the state "is in a bank in the middle of Beverly Hills in somebody else's name" and that attempting to make it big in California carries a risk of failure that could personally devastate one's resolve. On January 19, 1985, Larry Gatlin & the Gatlin Brothers Band sang the song at the nationally-televised 50th Presidential Inaugural Gala, the day before the second inauguration of Ronald Reagan.